No, it may resemble the team from DIY SOS but this is a much bigger job! 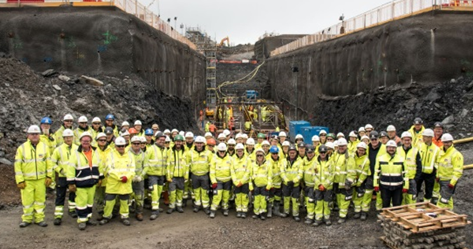 These are the men and women who have been working hard to get Britain’s first new nuclear power station for a generation built and ready right on our doorstep – and already they have made considerable progress. 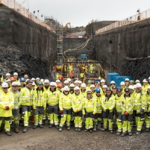 Hinkley C , or HPC as they call it, may not be able to generate electricity for a few years yet, but it has come racing off the drawing board and into solid facilities since the final go-ahead was given six months ago. And you can now get an eagle eye view of the progress made so far – but don’t adjust your volume, it’s a silent movie!